BYE BYE WINTERS, BYE MOOLI KE PARATHA..SERINITY NOW..! Everyday I need to watch something that makes me laught. These days I have started watching Seinfeld. I use to watch it when I was a teenager but I don’t think I understood it that well as I do today. Earlier I found it funny, today I find in hiralious. It’s a laughter riot..
Just 15 days back, we had nice cold winter days. Today suddenly the weather has changed, it feels like summer..
During those days, I needed hot water to shampoo…plus I always need someone to baby sit my son when I want to wash my hair.. I go to have a bath,…start the water..
1 minute,..2..5..7 no hot water.. I tell my self.. no problem.. Son is home, not gone to school since few days, recovering from viral. I ask my father to take him to his office for half an hour and I will come and pick him up after I shampoo my hair..
What? how is it possible.? AAL Izz Well.. wait for some time.. water did come few minutes back when I gave son a bath..so why is it not coming? Some more minutes pass..SERINITY NOW! I tell my self cooly like Kramer.. I calmly check.. oh apparently the building pressure pump was not working just for those few minutes when I was waiting for hot water..
Now it was getting late, Nanu would have work lined up I needed to pick up son from his office…. There is a dinner at my parents. Super plan! Too many babysitter in the house, parents, husband, my uncle aunty’s… I went to shampoo my hair..
What the hell..no hot water…how? AGAIN? After a failed attempt…I decide to write a post on aalizzwell…atleast make use of those extra 15 minutes…Update done! the next day as soon as husband comes home first thing I tell him, look after our son I need to shampoo..my hair are impossible! But I Told myself..SERINITY NOW! S E R E N I T Y NOWW! I was thinking insanity later… ha ha ha all in good laughs, you need to laugh cause life is just a comedy 😊🤔, lets interpret it as a comedy..
Everyone is cribbing as it seems summer has started. As I say bye bye to winters, atleast will not have to wait for hot water to shampoo…. 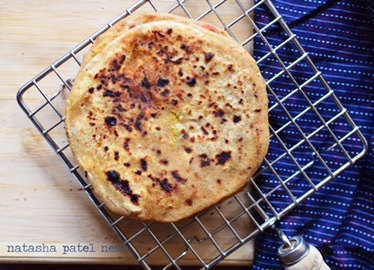 Knead the dough for the paratha and keep on the side. In a non stick pan heat the oil. Add the onions, sautte till they are transparent. Add all the ingredients and cook for 7 minutes or till everything is cooked well. Let this stuffing mixture cool down. Wrap the stuffing with rolled circle and make a stuffed ball. Press it a little to give a shape of pattie. 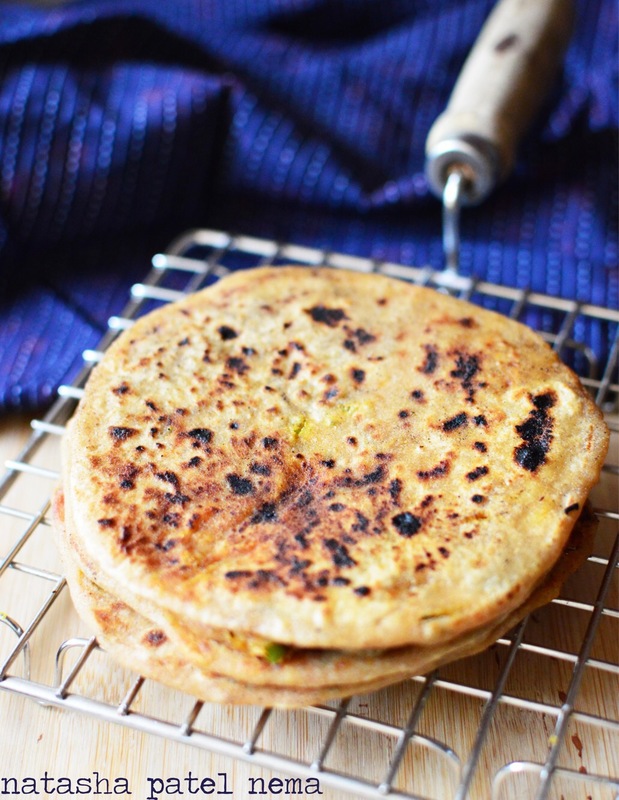 Roll carefully into a paratha and fry it on a non stick griddle untill both sides are done. Serve with curd, raita or acchar ..wah.. accha vichar hai!